A person who lacks goals and plans for his or her life can be compared to an empty debe. Either he or she is facing difficult situations or is stuck somewhere. In this day and age, there are lots of inspiration to be derived from books either soft or hardcopy. There are also online channels in which an individual can get inspired. I will give a brief account of an individual who came from a humble background but her life was very messy. She would spend most of her time drinking wallowing herself into her sorrows. This drinking habit was so devastating that she had even gone to rehab. Her family was very frustrated and almost disowned her. It took the intervention of her friends together with the pastor to take control of the situation. This fostered her to be a motivational speaker in order to inspire other individuals out there. There were certain seminars she organized in which she would aim to inspire other individuals. Moreover, she started her own platform called `Mwangaza` in which she targeted mostly the youth. Her platform became so popular that she got invites from high-end leaders. `Mwangaza` was a big stepping stone for her and her life in general. She discovered her purpose was being an inspiration for others. Remember it is never too late to discover your purpose. Discover it now and try to seek the help of a mentor to guide you. It is also important to seek help from your creator since he knows more about you. It takes time for it to process. Therefore, do not despair or give up. In the meantime, it is best to engage in an activity that will build you holistically. Such as volunteering, attending seminars, engaging in sporting activities etc. Purpose to be engaged in order to know your strongholds and weaknesses. Strive to know what aim you have in life. Nobody will define your purpose unless you seek to find it. 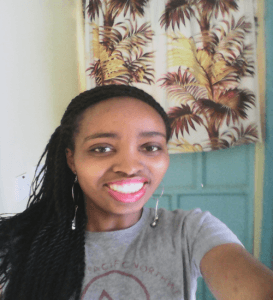 Annette Wangechi Kariuki is a student and online writer, studying Mass Communication at Jomo Kenyatta University of Agriculture and Technology.